Posted by Jonny Greenwood on 11/8/2017 4:46:25 PM. iBooks is an amazing app for reading ebooks. iBooks has integrated the iBookstore, where you can download the latest best-selling ebooks or your favorite classics anytime and anywhere. However, most ebooks purchased or downloaded from iBookstore have Apple Fairplay DRM protections. To read iBooks on PC/Mac, you need to make iBooks convertable. Here is the guide, just 4 steps to remove DRM from iBooks. In another word, now you can get your own iBooks for PC. Step 1: Find the ebook file in your PC. Run iTunes, right click the ebook, choose "Show in Windows Explorer". Then the folder which contains the ebook will pop-up automatically. Or you can directly go to "X:\My Documents\My Music\iTunes\iTunes Media\Books". 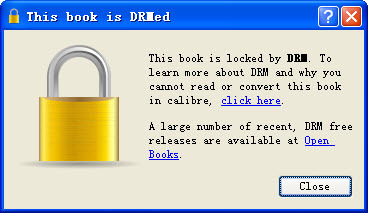 Step 2: Make sure if the ebook is DRM protected. 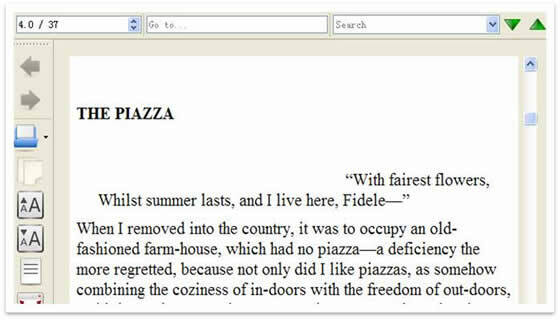 Open the ebook via ebook reader soft, like Adobe Reader, Calibre or Firefox plug-in, etc. If fail, then it has DRM protection. If an eBooks purchased in iTunes has DRM protection, you can only read it on IOS devices like iPod Touch, iPhone & iPad, and the device must authorized with your iTunes ID which purchased this eBook, you can't share iBooks with your friends, read it on another device, you even can't enjoy iBooks on PC/Mac. We purchased an eBook, we should have the right to read it on any device we like. Unless we piracy it for business purpose, removing DRM won't hurt anyone's benefit. Step 3: Bypass the limitation. - PC: There are many reading software which can read ePub eBooks on PC, like Adobe Digital Editions, Calibre, etc. - Mac: You can read them by Adobe Digital Editions, Calibre, Stanza, etc. - Kindle: Convert ePub to Mobi first, then transfer Mobi files to Kindle via USB Cable, Kindle email, or Send to Kindle application. - Nook: Transfer the book to Nook via USB Cable, then search new content on Nook, it will add the new-transfered book in the document section. - Sony: Transfer the book to Sony via Calibre. Load the book to Calibre first, then right click on the book, "Send to device --- Send specific format to --- Main Memory". Then you can find the book in your Sony Reader. - Kobo: Same as Sony. - Android Phone: Install Stanza on your phone, then transfer books to your phone via USB Cable, read them by Stanza. - Nokia Phone: Few apps on Nokia can read ePub books, but most of them can read PDF or TXT. Convert ePub to PDF to read them on your Nokia phone, if your Phone can only read TXT, don't worry, convert PDF to TXT. - BlackBerry Playbook: This tablet use Kobo app as default reading app, so check the Kobo guide above. - BlackBerry Phone: Same as Nokia. Now, you can read iBooks on whatever device freely. For PC users, you can just use ADE as your iBooks for PC as it can read all the non-protected ePub and PDF books. Removing DRM from iBooks only for self-use, DO NOT share or spread the DRM free ebooks to any one else or any public domain. If you purchase eBooks from Amazon Kindle, Sony, B&N Nook, Kobo, etc. Ultimate eBook converter can convert them directly to another format you want, no need to remove the DRM first. what if my file format is .ibooks? I've contacted you via email as I need a screenshot of your .ibooks file. Do you mean your iBooks author document? Maybe you can export them to pdf, then open with iBooks app on pc. I'm wondering, does this conversion leave interactive content intact? I have some iBooks that have buttons with sound clips and small videos that I would love to have on my PC instead. First off Requiem is no longer being updated and the last version (4.1) only works on iTunes 10.6 and 10.5. Second, since we are now at Tunes 11.0, Requiem doesn't work with it at all. Second if you want to decrypt iBooks, you HAVE TO downgrade iTunes to 10.5 or 10.6 (10.5.3 is recommended), or Requiem doesn't work at all. And this article has been published over 500 days, it is not REpublishing old info. Down grading to 10.5 or 10.6 doesn't work if you are using 11.0. Older iTunes can't open an iTunes data file created by a newer version. 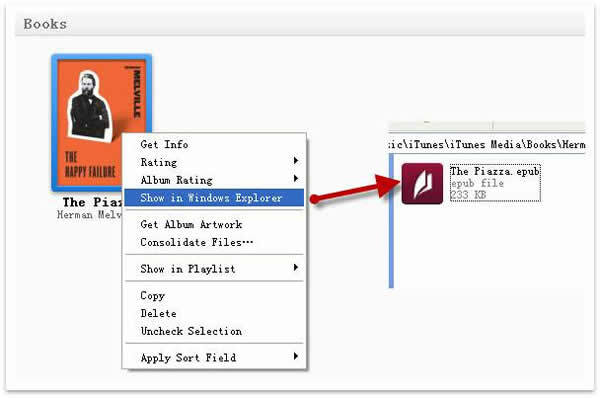 The long way around is to backup your iTunes folder, then delete it. Uninstall you current iTunes version and re-install 10.5 or 10.6. Yes all the stuff you are saying is correct, and this is exactly what I am telling to my clients who need to handle iBooks. So why are you mad? BTW, just uninstall the version 11 is not enough, you have to empty many related files, as some of them are storing the information about iTunes 11, which will lead to a decryption failure. You need to delete the book from iTunes software's library window, not just in folder. And re-download the book under iTunes 10.5/10.6, or it may tell you the SCInfo.sidb is missing. If I have a .ibooks file I got from a friend and I can't redownload it in an old iTunes version, am I out of luck? itunes mac 10.5.3 osX 10.8.4 ibooks .epub files requiem 3.3.6 let's do it again. With trial version doesn't work! :( I don't want to spend 39$ for this software when the ebook i've bought costed 10$..! Posted by Jonny Greenwood on 12/9/2014 2:36:08 AM. Sounds great by why does the tool tell me otherwise ?? This is fake. The program does NOT remove ibook encryption. DO NOT buy this software. When you install it tells you that it can not remove Fairplay! Sorry for the trouble. But we have stated it clearly on our website that our software doesn't support Apple iBooks DRM. You can stop telling people to go to that alternate site because it has stopped being relevant. I will be very grateful when someone picks up this banner and provides a NEW way to remove Apple's Fairplay DRM from .epub ibooks., Or instead of fighting what consumer WANTS Apple will publish iTunes through Google Play for Android devices. Despite what many seem to assume. Some people DO refrain from using Apple's hardware. This has zero to do with piracy and everything to do with consumers being able to read books they 'purchased" on whatever device they want. I'm selling my ipad2. I find Apple so closed to fair-play and openness, they are not worth the bother anymore. If I purchase a book anywhere else, then I own my copy. Apple don't agree, so Apple can has lost me. This is FAKE! Follow the links and you are offered to download an old version of Requiem which won't work with the current version of iTunes. Then they try to get you to buy a PDF that describes how to get this old version of Requiem to work. BTW, you can't give less than 5 stars no matter what you select.